I recently went out for a meal with my family. We arrived at the restaurant, and were greeted and seated immediately by our smiling host, at the table of our choice. Whilst looking at the menu, our host came over and took our drinks order, and also took the time to give us recommendations of dishes, explaining about ingredients and suitable accompaniments. The food arrived fairly swiftly and was delicious – the recommendations were correct and accurate, and our attentive host returned on occasion to check we were happy and that we had full glasses. Our table was cleared, and then, the best part – dessert. Being a fairly indecisive bunch, our willing host again took the time to answer any questions about the dishes and made recommendations. A couple of members of my family enquired about one particular dessert. We asked for a few more minutes to decide. Our host then re-appeared at the table, not yet to take our order, but with a sample of the dessert that we were enquiring about, to aid our decision. What fantastic service we received. This was the thing that really made our visit special. It certainly made me want to return. These days, it is all about customer service, or the customer experience. It can make or break an experience or transaction. There is so much riding on it. In fact, today, excellent customer service is expected and demanded as standard. It’s what makes the best stand out from the rest. A fantastic experience with any service or transaction is always preferable, but things don’t always go to plan, mistakes are made, and then need to be dealt with, and again it’s here that excellent customer service shines through and makes companies stand out from the rest, and makes customers loyal and return time and time again. 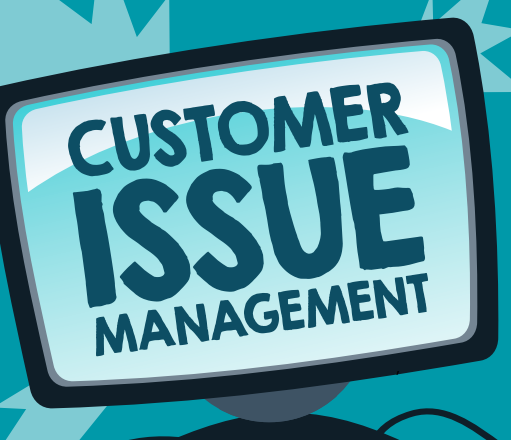 Did you know that Esker’s customer issue management solution can help with this? It gives CSRs have the ability to log, track and manage every claim, which improves efficiency by completely automating issue management workflows. On top of this, Esker’s dashboards provide clear and up-to-date information on the number of complaints awaiting resolution, and consolidated reports enable managers to accurately analyse, detect and quickly fix any problem areas. Getting customer issue management right is so important. After all, it directly impacts financial performance and customer retention.